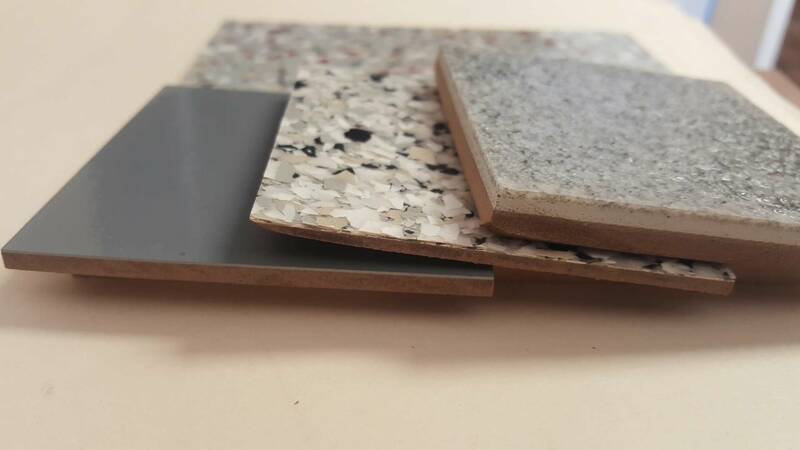 Surface preparation, a single service offering from Axis Solutions that covers a number of different sub-floor preparation techniques. 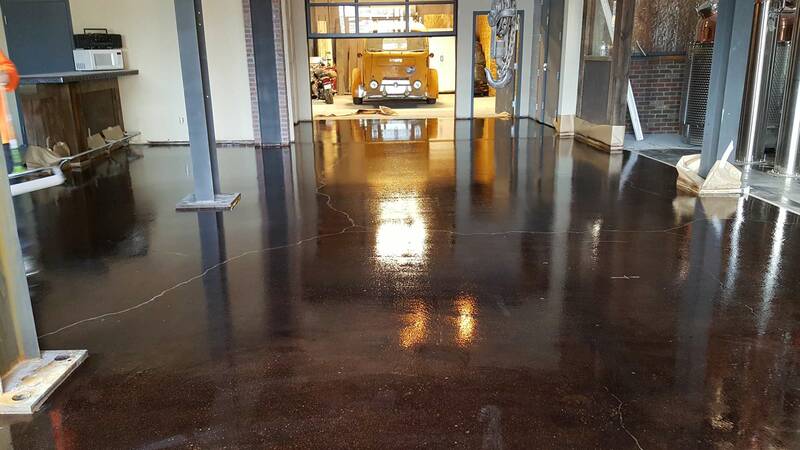 Most new architectural floor finishes require a clean, level concrete substrate surface to warrant the installation, Axis Solutions is your go to provider for all sub floor preparation. In most cases preparation requires a diamond grind at the minimum for architectural finishes and shot blast to CSP 3+ surface preparation for industrial and traffic coatings. In addition, Axis Solutions offers self-leveling underlayment and moisture mitigation installation. Dust control is the biggest concern with concrete surface preparation. Axis Solutions has HEPA filters on our vacuum equipment and more importantly we keep up with maintenance on all equipment. All our grinding, scarifying and shot blasting equipment is operated with dust shrouds and vacuums to minimize the creation of dust on our job sites. Over rough surfaces, joints and surfaces of dissimilar planes dust control is sometimes less effective but Axis Solutions has the tools to manage air quality per project requirements. Axis Solutions has a wide variety of shot blasters to cover all projects types. We have small 8” machines which are very compact for work in smaller rooms, a 10” super electric for large interior requirements and a diesel ride on 16” shot blaster for exterior parking, road and bridge requirements. With our large Husqvarna PG820 planetary grinder we can level out the effects of concrete curling as needed on your projects. With the Green trend polishing concrete to reveal its natural beauty is a popular choice. We use Ameripolish, Prosoco and L&M polishing systems to provide the finish you need. Certified installers of both Koster and Custom Tech moisture mitigation solutions. 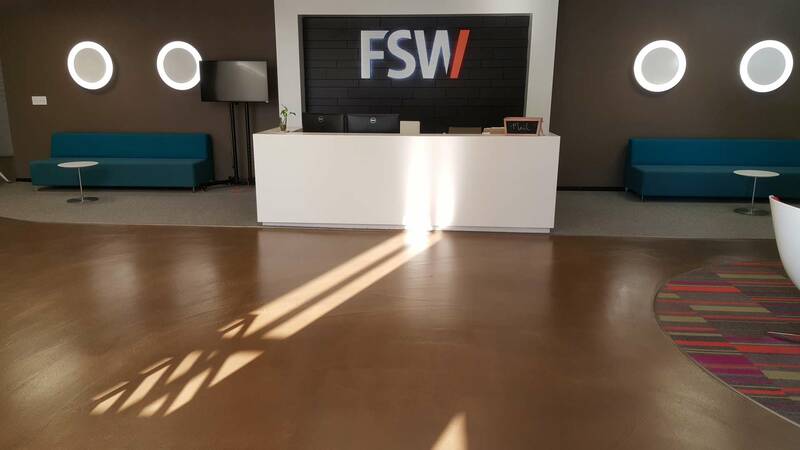 Our experience with coatings application, combined with surface preparation knowledge allow us to install moisture mitigation systems as designed by the manufacturer. This ensures your warranty is worth the paper it is written on. Particularly in retail space where floors are remodeled repeatedly, sometimes the best thing to do is get a new canvas to work with! Applying a self-leveling underlayment can quickly and cost effectively return a floor back to like-new ready for the next finish to be applied.